Set your sights on the horizon, and get ready to play the day away onboard the TAHOE Q7i. At 20' 6" long with a 96" beam, it’s our largest sport runabout, and we’ve taken advantage of its size to provide families the ultimate escape vehicle. 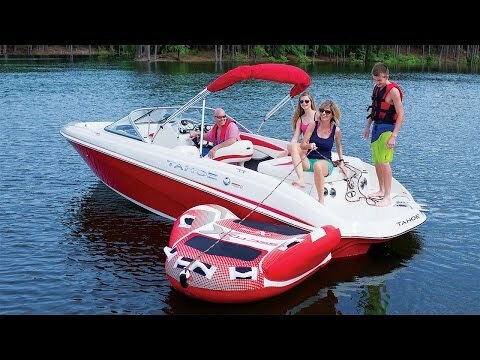 On the outside, a new color scheme and the TAHOE-exclusive POWERGLIDE® hull invite you to smoothly pop up on plane and cruise in style, or to tie on a tow rope for some watersports action. And inside, there’s plush seating and plentiful storage for a crew of nine and all their gear. All to ensure that nothing keeps you from a full day, and then some, of fun on the water. Max. weight capacity : 1700 Lbs. Approx. package weight: 3631 Lbs.